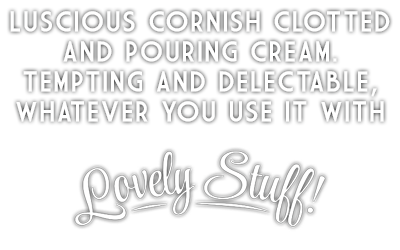 Our gorgeous Clotted Cream is made to a traditional Cornish recipe, which means it has Protected Designation of Origin status. Our Single and Double Cream is crafted with just as much care. We don’t add anything, we just gently pasteurise in small batches. Then, rather than cooking at high temperatures for a short period, we prefer to cook it slower for longer at a lower temperature. We believe our unique approach keeps in more of the goodness and the flavour. Simple.